A Self-Care to a Self-Cure for Type I Diabetes! Today is Jakob’s 8th birthday. Jakob was diagnosed with Type I diabetes and was taking daily insulin shots to regulate his blood sugar levels. Now he is following Dr. Robert O. Young’s pH Miracle for Diabetes Protocol as outlined in The pH Miracle for Diabetes. 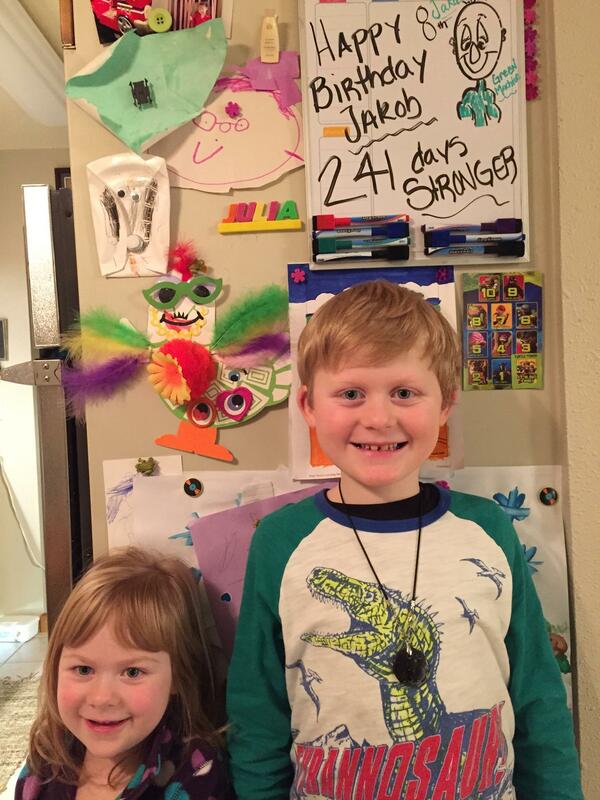 It has NOW been 241 days since Jakob needed a single daily insulin shot. His blood sugar levels have been normal for over 8 months. He is a very happy and healthy boy now. And his parents are even more happy that they have a happy and healthy boy free from high blood sugars and the daily insulin shots! I am also happy for Jakob and his family. You know who is not happy about Jakob’s self-cure from Type I Diabetes and wants Dr Young’s protocol suppressed? In the words of Martin Luther King, Jr., “Our lives begin to end the day we become silent about things that matter.” The Self-Care to a Self-Cure for diabetes matters. As long as I am alive i will continue to proclaim to all the World to all who will listen to the truth that there is a natural non-invasive, drug-free, self-cure for Type I, Type II and Type III diabetes, for heart disease and for cancer. There is a natural non-invasive, drug-free, self-care to a self-cure for ALL sickness and disease. No child needs to be diabetic if the child and his or her parents are willing to follow The pH Miracle for Diabetes Protocol. UNDERSTAND? If you have Type I, II or III diabetes or know someone who has diabetes and is insulin dependent, the pH Miracle for Diabetes Protocol will begin the process of your/their Self-Care to a Self-Cure regardless of how long you’ve/they’ve been doing diabetes! Understand? Stand-up for health freedom! Education NOT Medication! Health Care NOT Sick Care! Read and share the truth with your family and friends. Juvenile diabetes is a world-wide epidemic and we NOW know the cause and we have the self-cure. Every child with diabetes can be healed. Remember it is YOUR Body, YOUR LIFE and YOUR CHOICE. YOU MUST BE THE CHANGE AND THE CURE YOU WANT TO SEE! Previous PostThe LIGHTS are OUT and NOBODY is HOME?Next PostThe Theory of Biological Transformation or Pleomorphism! IF THE TREATMENT WOULD HELD IN BANGLADESH……. There is no cure for type one diabetes. Robert Young is a quack and should be in prison with Kevin Trudeau.